A guide on how to file nil Tax return for the unemployed/student or recent graduates and employed. Did you know that if you don’t file KRA tax return form whether you are employed or not you will be fined ksh. 20,000? This is not a one time fine and yet you can avoid it. Below is a step by step guide on how to go about it and avoid unnecessary fines if you are jobless and at one point had acquired a KRA pin for HELB or other purposes. 1 Do i need to file returns if an unemployed? 2 Will i be fined if i don’t file returns for unemployed? 3 Can i file Nil returns if i am employed? 4 Are students supposed to file KRA tax returns? Do i need to file returns if an unemployed? Answer: Yes, PIN holders with no source of income need to file a Nil return. Will i be fined if i don’t file returns for unemployed? Answer: If you file the Nil Return for those who are not employed you will not be fined. But if you don’t no matter your employment status, you will be fines ksh. 20,000. Can i file Nil returns if i am employed? Are students supposed to file KRA tax returns? Everyone who has KRA pin is supposed to file returns. For students who got a KRA pin when applying for helb should just file nil returns. However, if you do not have a KRA pin you don’t have to file. Type https://itax.kra.go.ke and you be directed to the KRA portal where you will enter your KRA Pin or USER ID. Enter and log in with your iTax password. 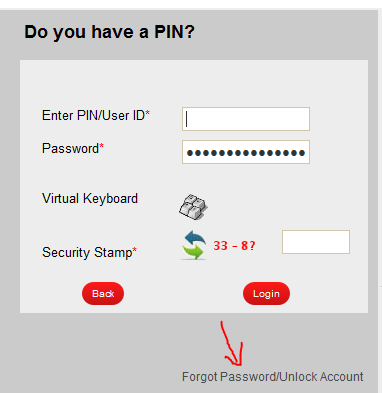 If you have forgotten your password, retrieve one using „ FORGOT PASSWORD‟ option on the bottom right of the iTax portal page. After Login. You will be directed to a page that has a red top menu as shown below. Place your cursor (mouse pointer) on the ‘RETURNS” page and a drop down menu will appear. Below the drop down menu you will see “FILE NILL RETRUNS.” For the unemployed that is where you are supposed to click and you will be directed to a page that looks like the one below. Click download Returns Receipt to download. You are done after downloading. Filing Of Income Tax Individual Return For the Employed procedure is provided in the video below. Do not miss our latest 2019 updates on KRA Income Tax Return filing! I registered kra pin on 07/06/18 when will i be able to file nil returns since I am not employed? File in 2019 before end of June. I was previously employed and they filed my taxes as per the company requirements but I’m no longer employed so how do I go about filing my taxes?